If you are traveling in Europe examining its attractions and monuments, then maybe it is worth to slightly “dilute” the blood going to the casino? Especially because the most stylish European casinos are usually located in historic buildings, where there is something to see. 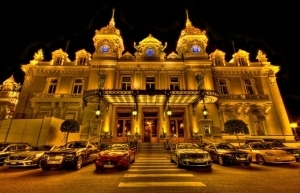 The largest casino, the most luxurious, the most secure and the oldest casino in Europe … What epithets with the prefix “most-most” could not be awarded Le Casino de Monte-Carlo. 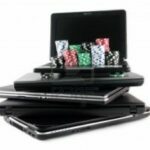 What’s so special about this casino, and how does it affect the avid fans of excitement and new players? It is believed that the casino is the oldest one among those operating in Europe today. And, from its first days this casino was not just a place where you could play cards or other games of chance, it was the heart of the small principality of Monaco and, in some measure, the cause of the city appearance. At first the casino was not very luxury and housed in a small wooden structure. It is not surprising that foreign players were not in a hurry to spend money there spending hours playing solitaire or blackjack. In 1878, a fire broke out in the casino, the building was only part that has survived to the present day, and today it serves as the lobby of Monte Carlo Casino. The architect Charles Garnier undertook restructuring of the casino, making it a luxurious palace and finished even the Opera House of Monte – Carlo. From this moment the decoration of the casino to attract hundreds of players from all over Europe begins. And in 1910 the casino was again rebuilt, making it even more luxurious and magnificent. Casino Baden-Baden (Germany) is one of the oldest casinos in Europe. The casino was built in 1824. The facade is covered with white marble, inside there is a plush interior in the spirit of the past. For wealthy visitors suites with armored glass windows are provided. Baden-Baden annually attracts more than 600,000 players. The casino has over 150 slot machines, tables with American and French roulette, and more than 50 tables for poker and blackjack. A special hall for an online casino was opened recently. In addition to machines and tables, there is a lovely restaurant with traditional dishes from different countries, a ballroom, and small shops, as well as its own race track where the play is for Bugatti. In Baden-Baden there is a dress code: women’s evening dress, for men – a jacket and a tie. If you are dressed in inappropriate clothing, it can be rented in the locker room. The guest book is a relic: American presidents Ronald Reagan and Bill Clinton, the stars Marlene Dietrich, Victoria and David Beckham, Arab sheiks are present there. And in the old days, Leo Tolstoy, Fyodor Dostoevsky and Mark Twain visited the casino. Casino Castell De Peralada (Spain). One of the most beautiful European casinos is located in the Catalan fortress of Alt Empordà. Its main attraction are the walls of the castle, which were built in the 15th century and the beautiful gardens surrounding them. The players have everything they want at their disposal: the resort with five-star hotel, and restaurants, and golf, and a SPA-center. The casino offers a wide selection of slot machines and tables with a “live” game. The building is divided into several sectors: in the “American”, for example, you will find roulette, blackjack, Punto Banco and poker tables. If you consider these things to be “old-fashioned”, you can go to the part with slot machines. The Hippodrome (UK) 2. It is the largest casino in the UK – the former racetrack. For a while there was a theatre. And in 2009, 48 million euros were invested in the building and the architect Paul Rayson has transformed a dilapidated theatre into a London “icon”. The building has three floors of gaming, which features the most popular casino entertainment: roulette, blackjack, Baccarat and so forth. There are, of course, slot machines and poker tables where you can play all day and night.